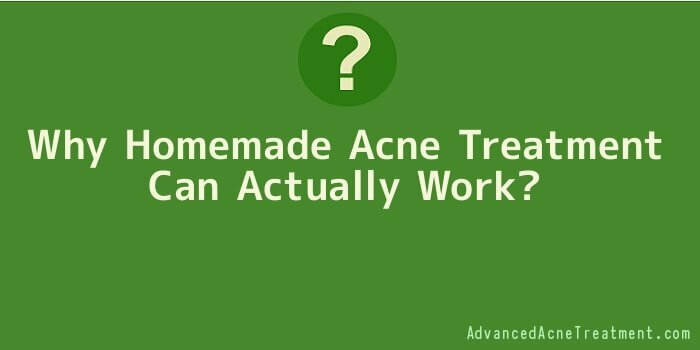 Why Homemade Acne Treatment Can Actually Work? This article is geared at giving you the best recipes for homemade acne treatment. It does not mean that we will get the recipes on fire, but will offer a guide as to the best state of preparation that makes homemade acne remedies work best. Many household elements have been discussed as the best remedies for use in treating acne. However, the question remains how they are used in the treatment process. This will be covered in this article listing some of the best six homemade acne treatments that work and that you can use. The cinnamon bark powder is an effective element in use for cleansing the acne face. Ground cinnamon should be mixed with honey to offer its best-looking results. After mixing, you should apply the mixture to the face and massage the face containing honey and cinnamon. It gives a radiant finish and the antibacterial effects of the mixture works on the face to kill the harmful microbial causing acne. Cucumber is a highly hydrated ingredient. It suits different skin forms; thus making it a neutral homemade acne treatment. It offers the face a smooth and fresh finish when used on the face. The cucumber should be smashed to form a thick paste, which will work as a facial mask. You can apply this on the face and leave it on for about 30 minutes. Then rinse the face off using cold water. This is a common spice used in the preparation of many delicacies. It has an antibacterial ingredient for the skin. It also prevents the excess production of melanin on the skin. You can mix turmeric with different components to make a facial mask. This includes mixing turmeric with honey, milk, or lemon juice. It will work well giving good results. The apple fruit is a good health component. It is true that an apple a day keeps the doctor away and so is the case in acne treatment. Grate the apple into a paste. Add honey to the paste and apply it on the face. For the best results, you should repeat this procedure and rinsing the face. The face will appear improved from the acne effects. Baking soda is a common household item in the home. It can also be used in making a homemade acne treatment agent. For this powder, you need to add a few drops of water and mix it to form a thick paste. You should then apply the paste to your face or area infected with acne and let it stay for a while. When it has dried out, you can wash it out using warm water to leave a good finish. It works on the pimples caused by acne. A potato paste or just the use of potato juice will give you the best look. Potatoes contain natural bleaching capabilities, thus has the ability to lessen the scars dark colours. You can cut half a potato and then apply the juiced on the infected areas. You can also choose to pound the potato to form a thick paste and apply it to the face.